As I've previously stated, I am not a fan of the relatively new, organized character greeting method at the Disney parks. Something magical was lost with the spontaneity cut. With that said, if they're going to do it, this is the way to do it!! 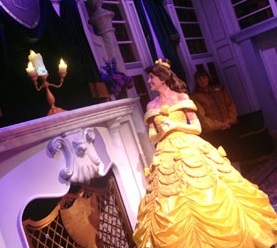 Enchanted Tales With Belle is not the typical 'line up for autographs and photographs' type of character encounter. It's more of a character experience. Your visit with Belle takes you into Maurice's cottage and workshop, through the enchanted mirror, to Belle's wardrobe, and finally into the grand library, where the audience is treated to storytime with Belle... along with the help of selected guest participants. In a unique and truly memorable manner, the tale of Beauty and the Beast is retold, and with live (often young) talent at the helm as well as many interactive opportunities for all, your experience is surely to be an unpredictable one. Your encounter concludes with a song and dance and photo ops with Belle for show participants. 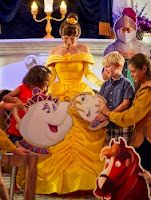 The original Storytime With Belle attraction was an afterthought located in the Fairytale Gardens. 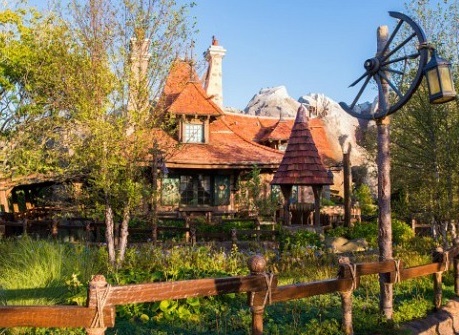 In December, 2012, Belle's popular performances received an upgrade, thanks to the Fantasyland expansion project. The painstaking details and eye-catching, familiar props located around the entire attraction are very genuine to the film, and provide much to enjoy during the experience. 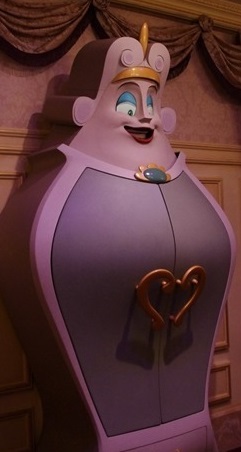 The Wardrobe and Lumiere characterizations are so much fun. 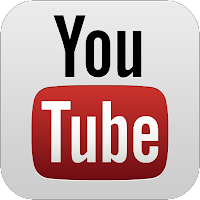 This truly is a must-do attraction for all.